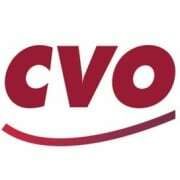 CVO is especially concerned with the fact that 22 Veterans, including women vets take there own lives every day. That is an enormous number we are determined to find out why it is so large and do something to reduce the harm it does to millions of families every year. Of course, this is not just a tragedy for veterans but for thousands of civilian families as well with very high suicide rates among the young and elderly as well. Are you ready to join us in reaching out to our veterans and their families in order to offer them guidance and solid help of all kinds before it is too late for them - before they become another sad statistic? Let us hear from you. Just call 847 971 1551.